Enjoy your favorite drinks in this thermal mug with artwork from Harry Potter! 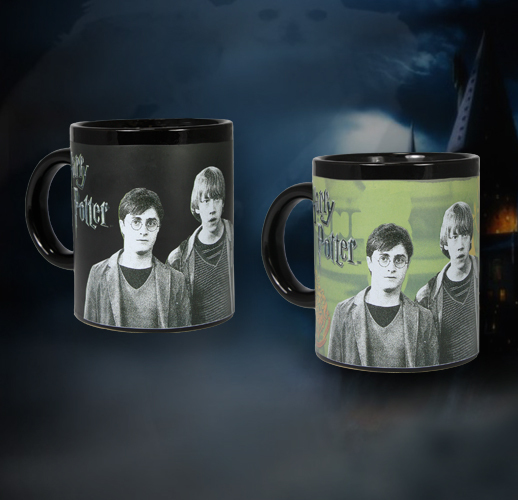 The mug features Harry, Ron and Hermione in black and white, but add any hot beverage and you magically summon a colorful background and the Hogwarts crest. Perfect for work, school, home, or as a gift to a friend who will undoubtedly appreciate your generosity.